The expedition is hoping to reach the ‘end of the world’. CONSPIRACY theorists are heading to the "end of the world" in a bizarre trip to prove the Earth isn't a sphere. The "flat earthers" plan to travel to Antarctica by boat to find the frozen barrier they believe marks the edge of our world. 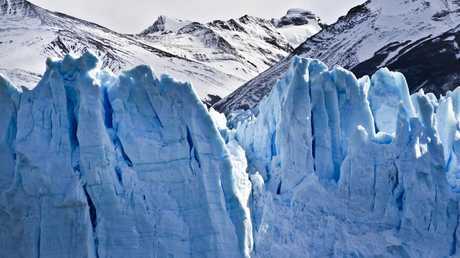 The supposed "ice wall" is said to be several hundred metres thick, towers 50 metres high and surrounds the entire planet. Next year's incredible trip - details of which are being kept under wraps - is being organised by the Flat Earth International Conference (FEIC). Even YouTube star Logan Paul wants to join the expedition so he can "find the facts" behind the bonkers theories. FEIC founder Robbie Davidson told Forbes: "If you take a globe and you squish it down, the Antarctic would go all the way around the Earth. "It's kind of like an ice shore, and it's very, very large. It's not like you just go there, and you can just peek over it. "We don't believe anything can fall off the edge because a big portion of the flat earth community believes that we're in a dome, like a snow globe. "So the sun, moon, and stars are all inside. It's very high but all contained inside. So there's no way to actually fall off of the earth." The Flat Earthers hope to find the 50-metre wall of ice they say marks the edge of our planet. But many are quick to point out the ship taking them will use navigational equipment that counts on the Earth being a sphere. Global position systems, in particular, use a network of satellites that orbit the Earth to ping off each other and pinpoint one's location. In a report by The Guardian, Henk Keijer, a longtime cruise ship captain, gave his thoughts on the FEIC's plans. He said: "I have sailed two million miles, give or take. "I have not encountered one sea captain who believes the Earth is flat." Some people believe the world is flat because they cannot see a curve in photos or when travelling. Others claim images showing the world as a sphere are generated on a computer and not actually taken from space. A general consensus by Flat Earthers is the idea the world as round is a way NASA can dupe society along with governments to keep control. The Flat Earth Society suggests "the space agencies of the world" conspire to fake "space travel" to hide the Earth's "biggest secret". "This likely began during the Cold War," the Flat Earth Society says. "The USSR and USA were obsessed with beating each other into space to the point that each faked their accomplishments in an attempt to keep pace." The FEIC has not responded to requests for more information on the Flat Earth cruise. W HAT IS FLAT EARTH THEORY? Flat earth theory is an archaic conception the earth is shaped as a plane or a disk. The idea was first raised in ancient cultures, including the Romans, until the classical period. The theory is generally accepted as being disproved by Aristotle in 330BC, but the idea of the earth being a sphere was suggested by Pythagoras in the 6th century. However, the flat earth theory still holds weight today with some sects in society such as the Flat Earth Society. Modern flat earth theories believe the Earth is a disc or a pentagon surrounded by mountains or a wall of ice. They believe the Earth being round is a lie put out by governments - making it into a conspiracy theory. Some of the theories suggest the earth doesn't orbit the sun but is instead fixed to a mobile in space. Others claim it has a downward orbit. 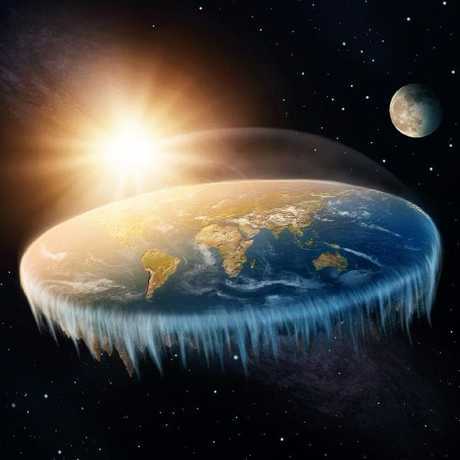 Many flat earth theories rely on literal interpretations of biblical literature, which provide the basis for the beliefs. 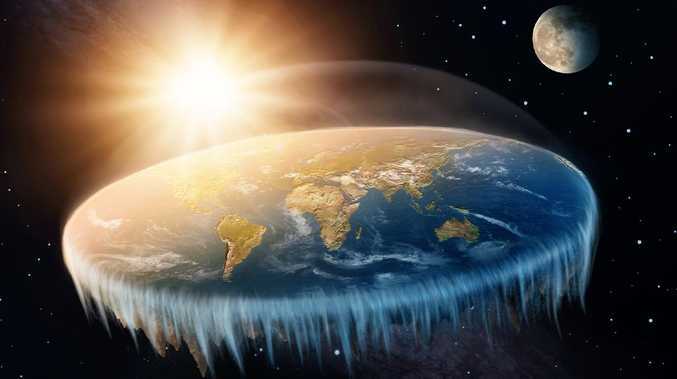 The conspiracy theory has risen to prominence recently as social media has provided a platform for flat earth theories to be shared and discussed.